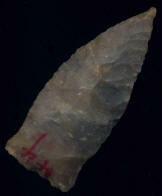 Description: Very Nice Garth Slough - This is a Very nice example of the type. 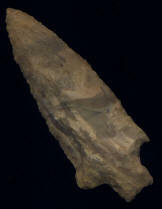 Super little Garth Slough. 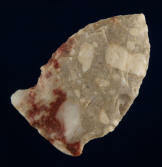 This nice piece was purchased as part a collection out of Henderson, Kentucky. It has had a slight tip ding at sometime in it's history and been reworked slightly, but it all appears ancient! Description: Really Nice Motley Knife from Southern Kentucky - This is a Very nice example of a Motley that has been used as a knife. 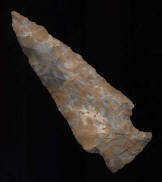 It has a Fine tip and nice ears. It is fairly thin and has good flaking. The symmetry is off a tad from re-shapenings identifying it as a knife from. It is made from a tan quartz type Chert. It was recovered in Simpson County, KY. Description: Super Big Slough - This is a Great example of this Typology. It is most likely Burlington Chert. It was found near Tama, Iowa. 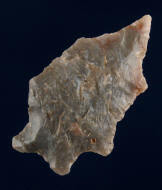 Ex- Monty & Jewdy Pennington. 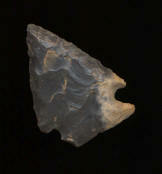 Description: Very Colorful Square Serrated Palmer - It found in Estill County, Kentucky by Autumn Forrest Reed. 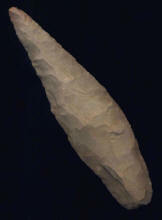 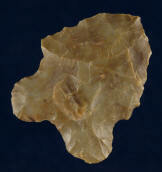 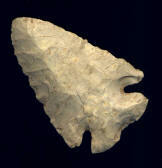 Description: Carter Cave Chert Elk River - Oblique Transverse Flaking, nice symmetry. Great material. 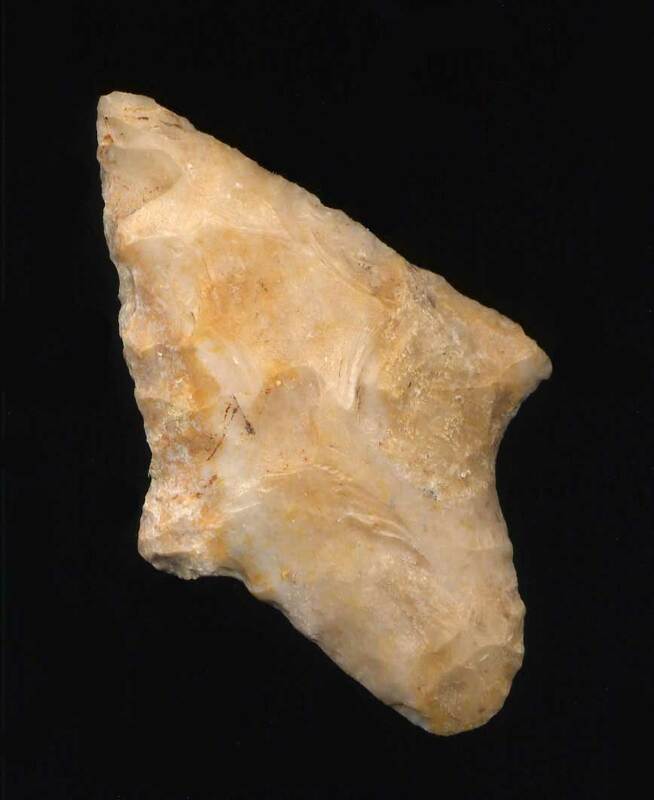 found in Southern Kentucky. 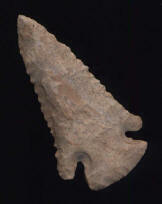 Description: Two Tone Striped Mulberry Creek - Made of Tyrone Chert and found in Kentucky. Comes with a Tom Davis COA grading it a G-7. 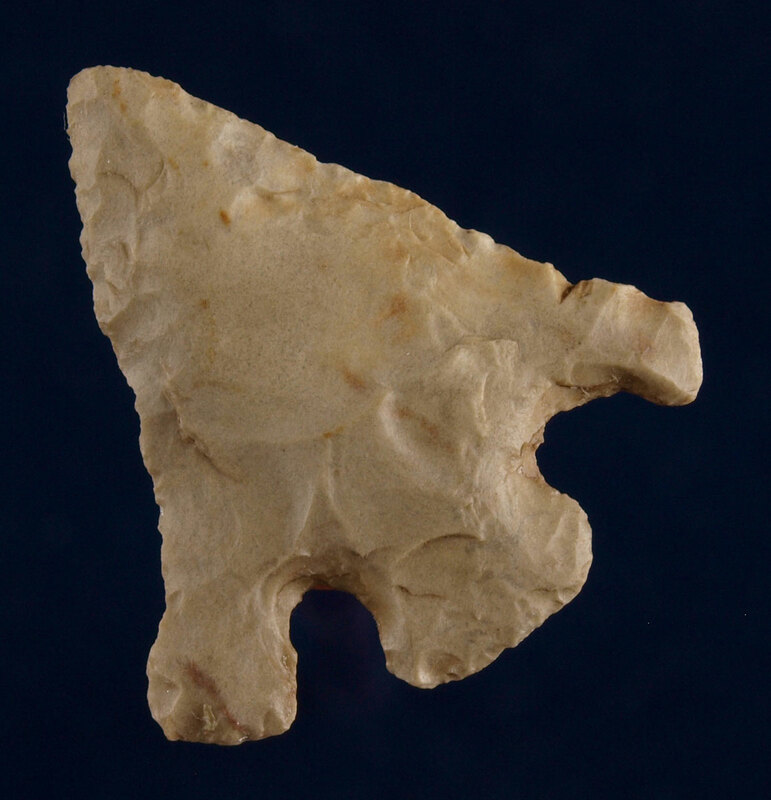 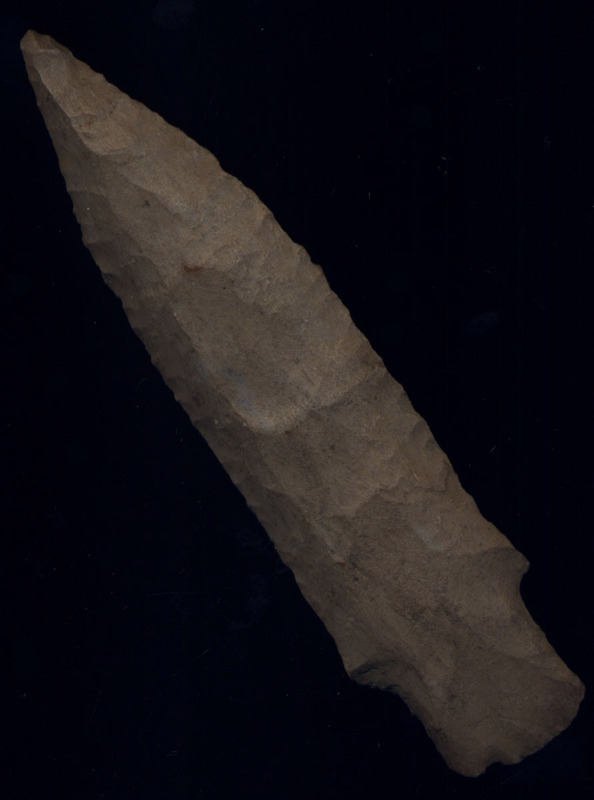 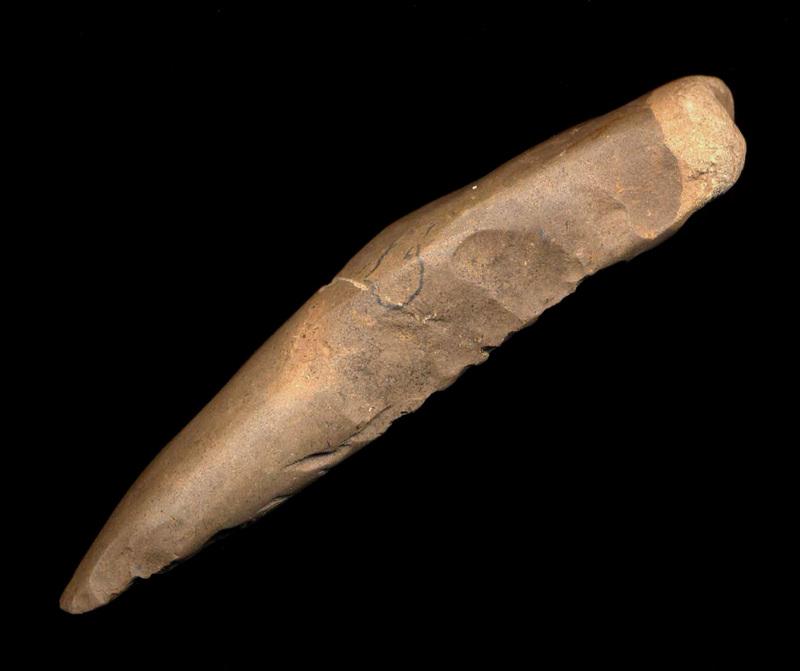 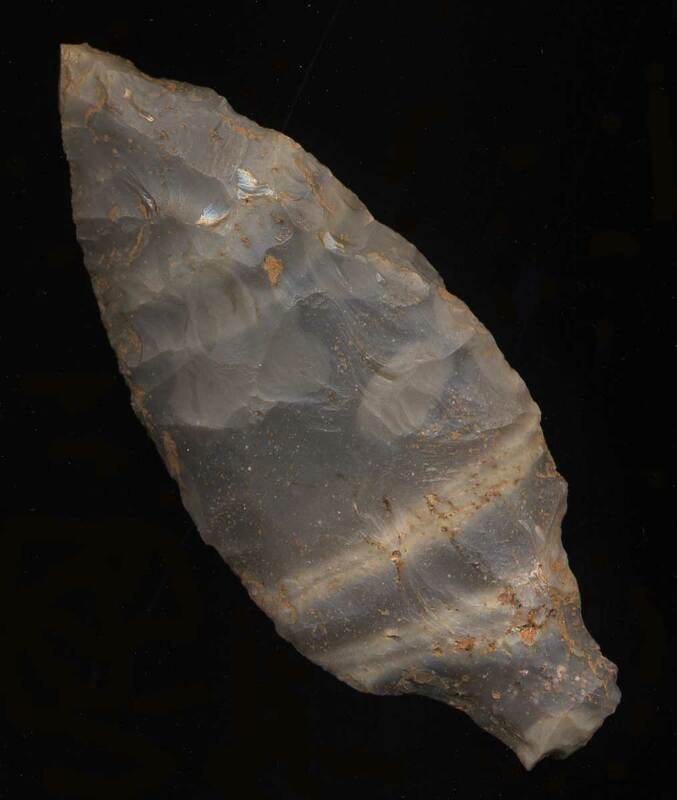 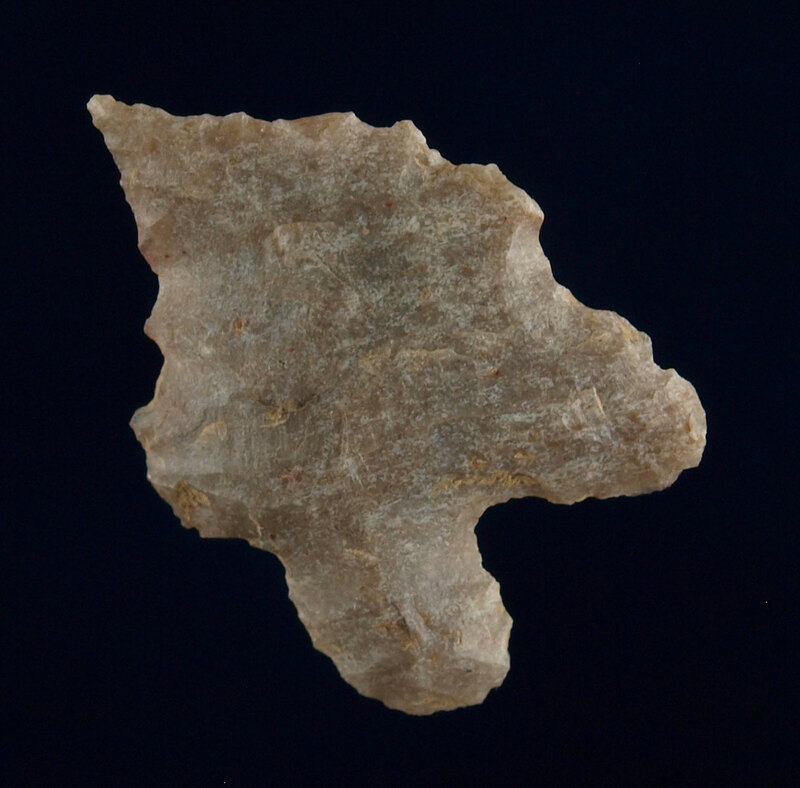 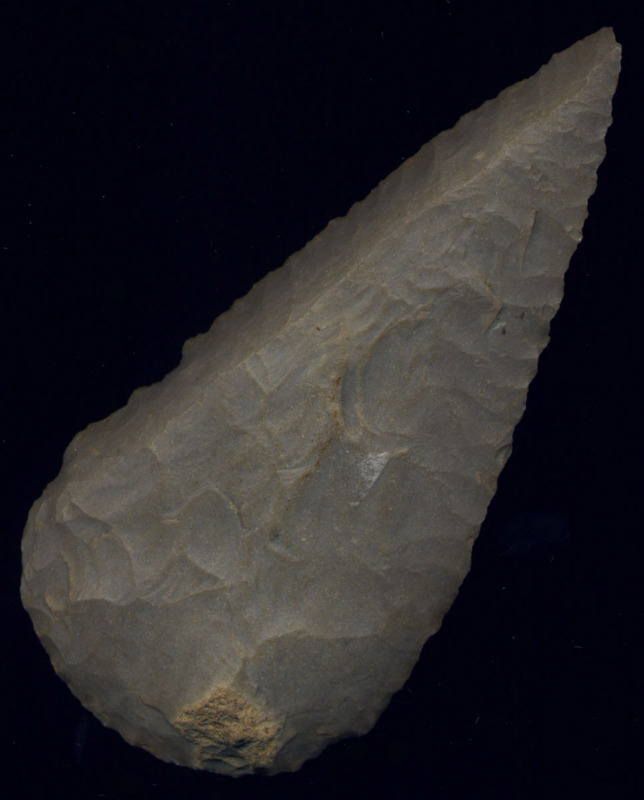 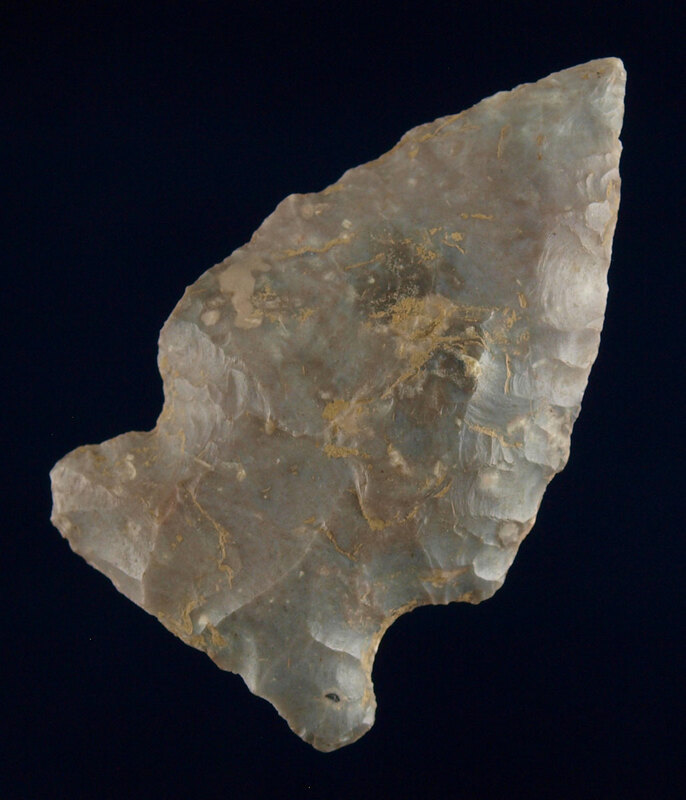 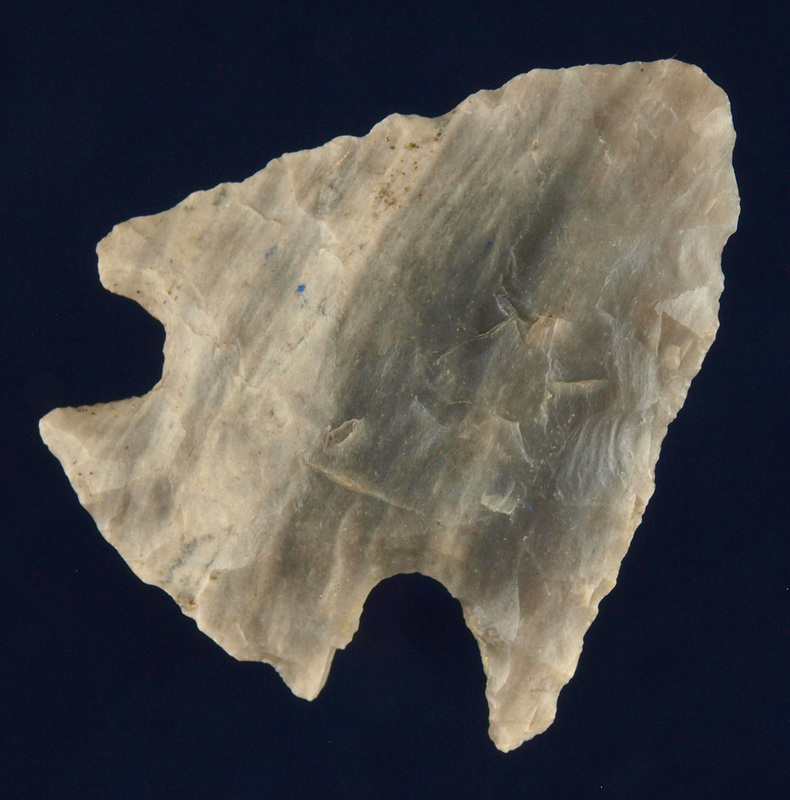 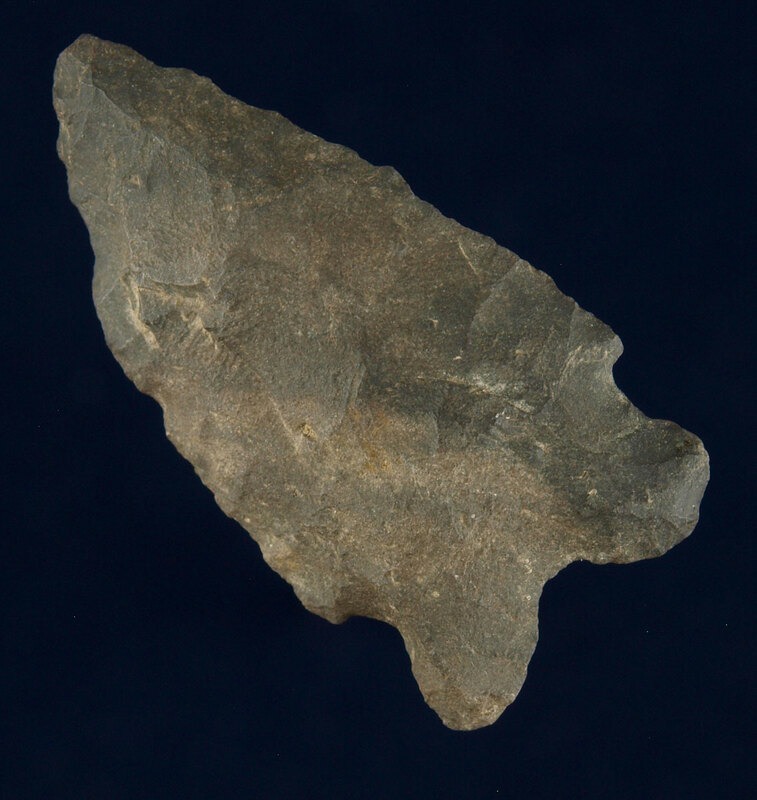 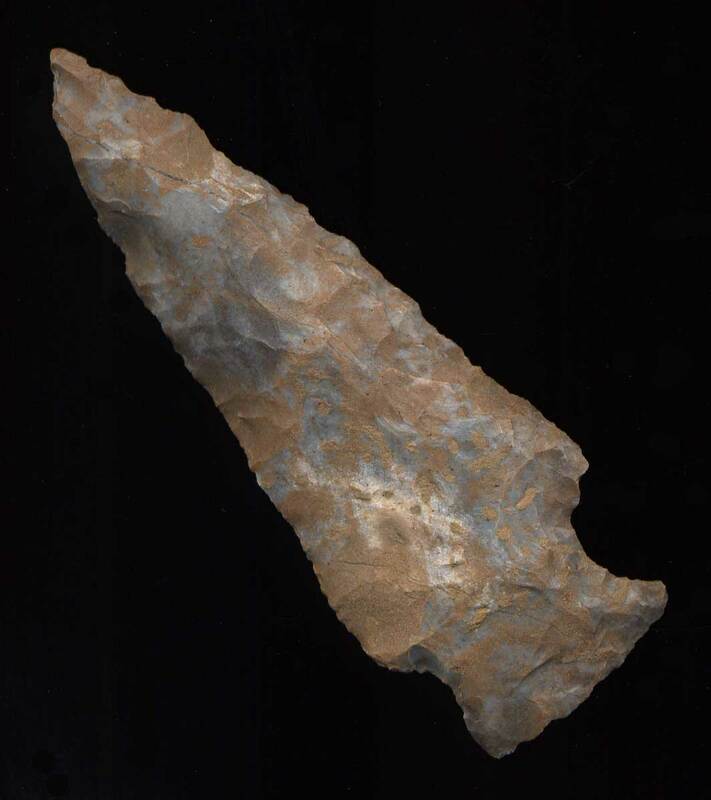 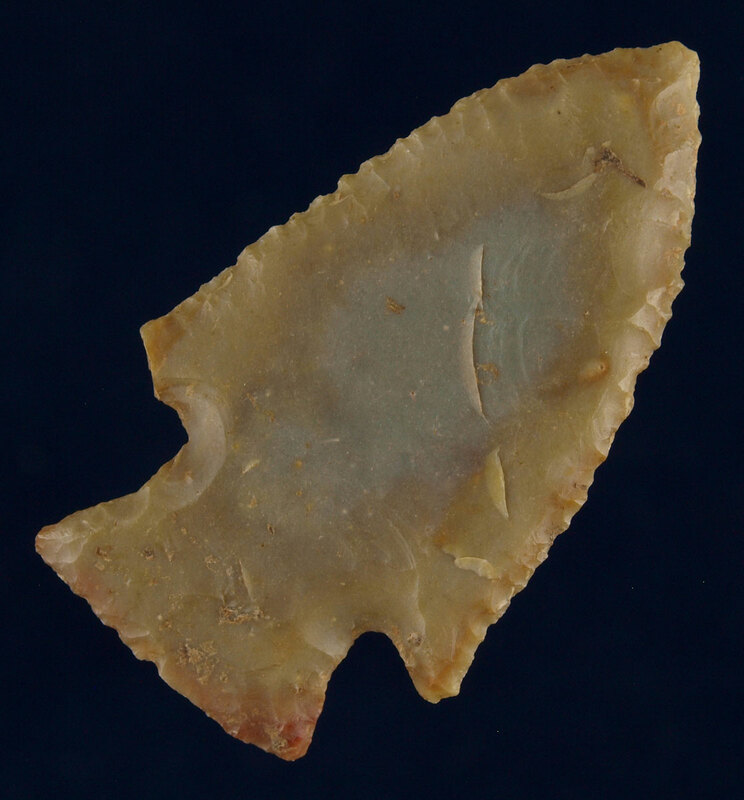 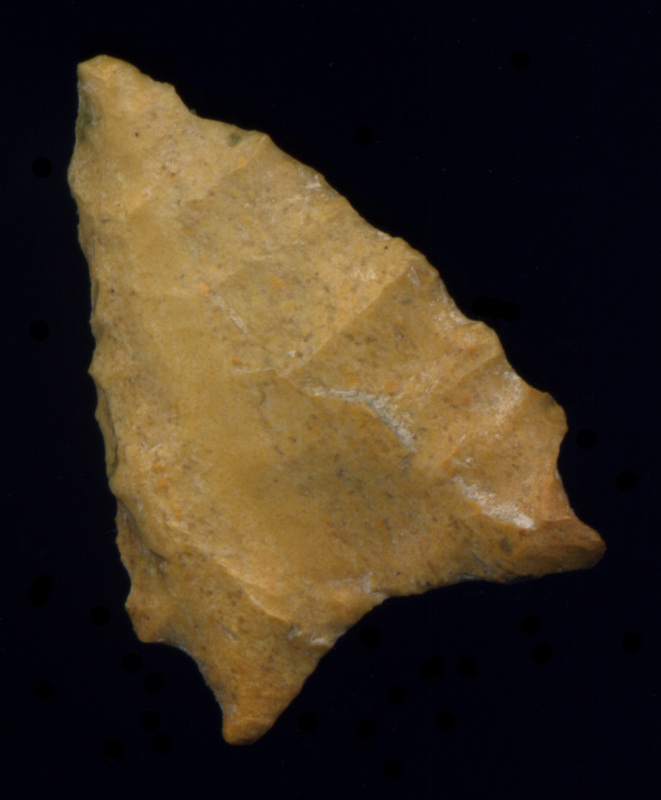 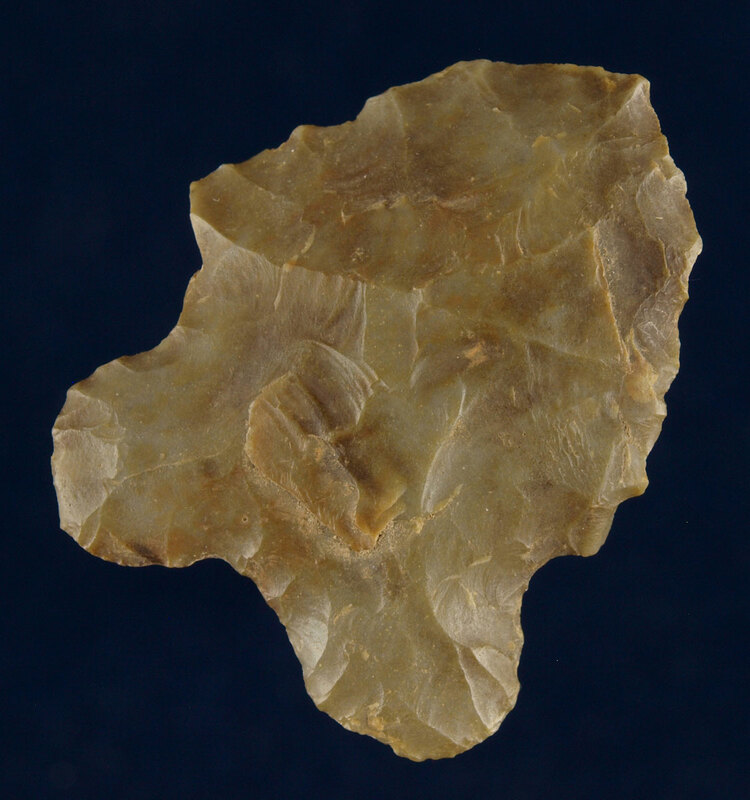 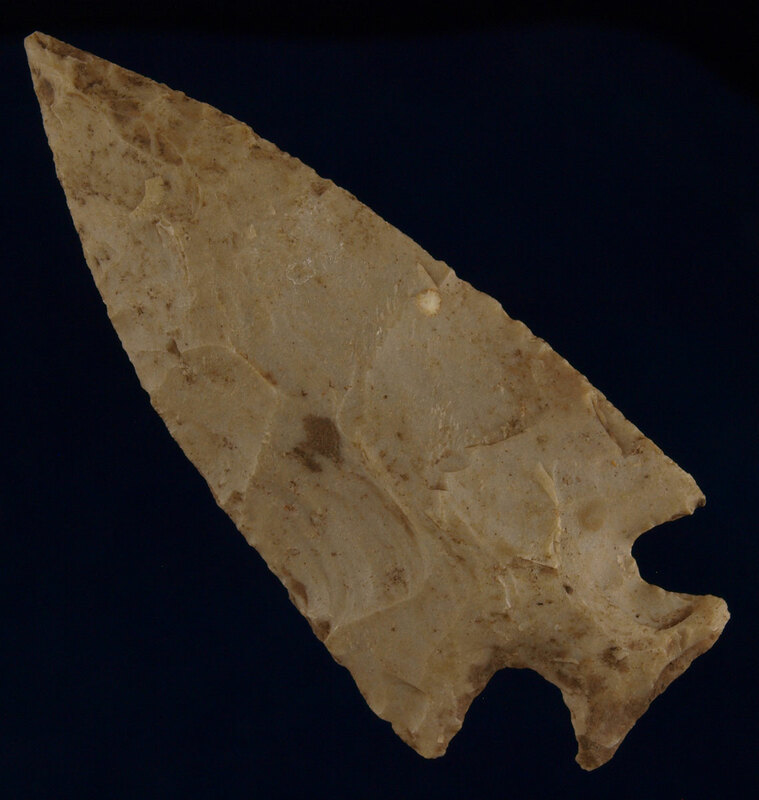 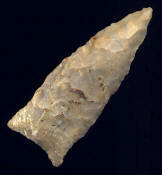 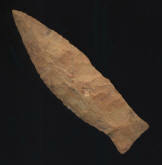 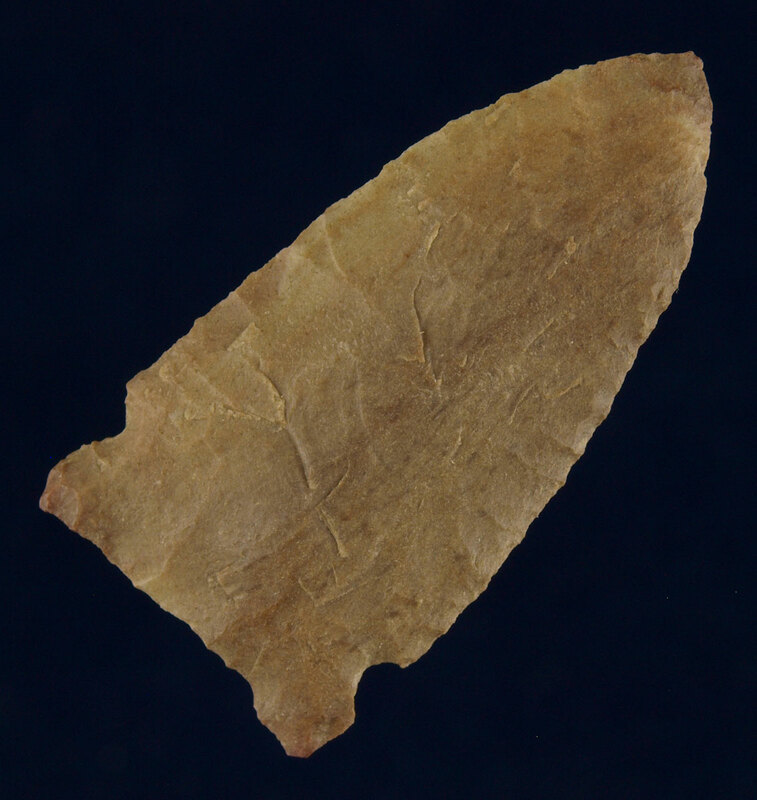 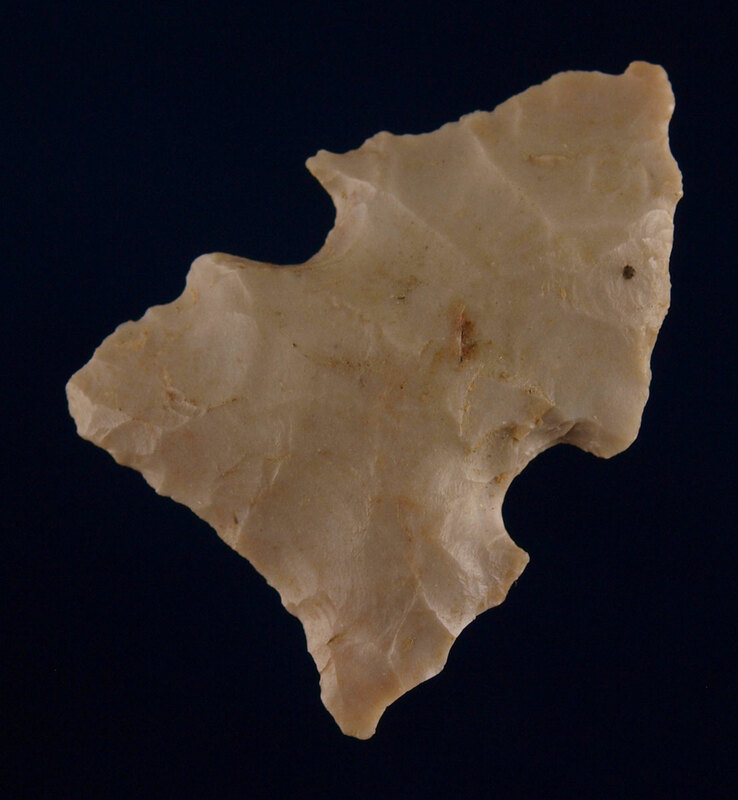 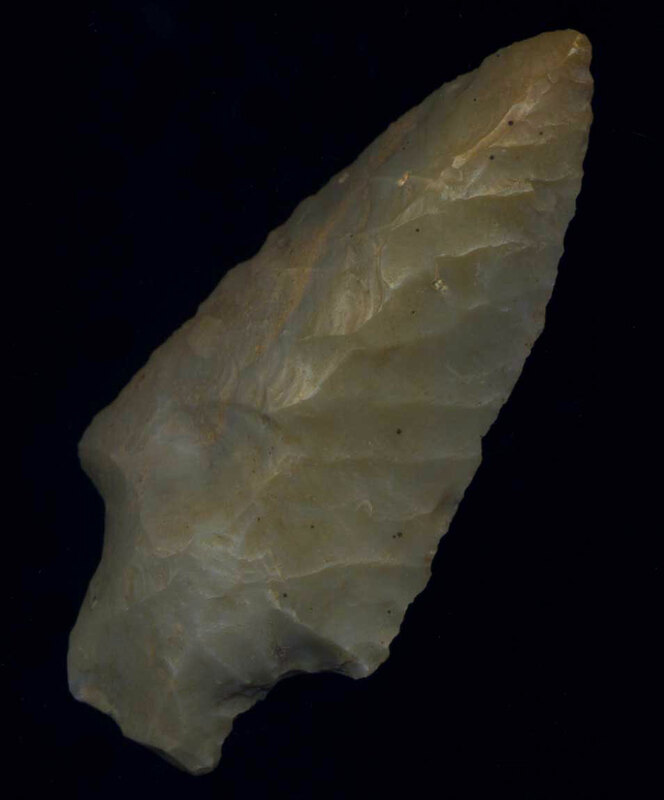 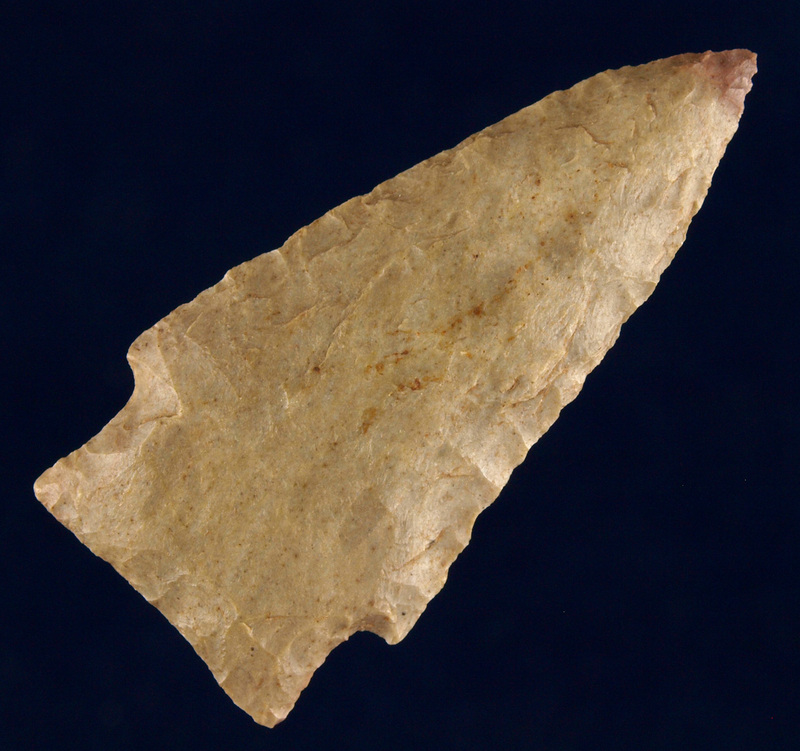 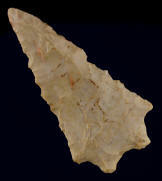 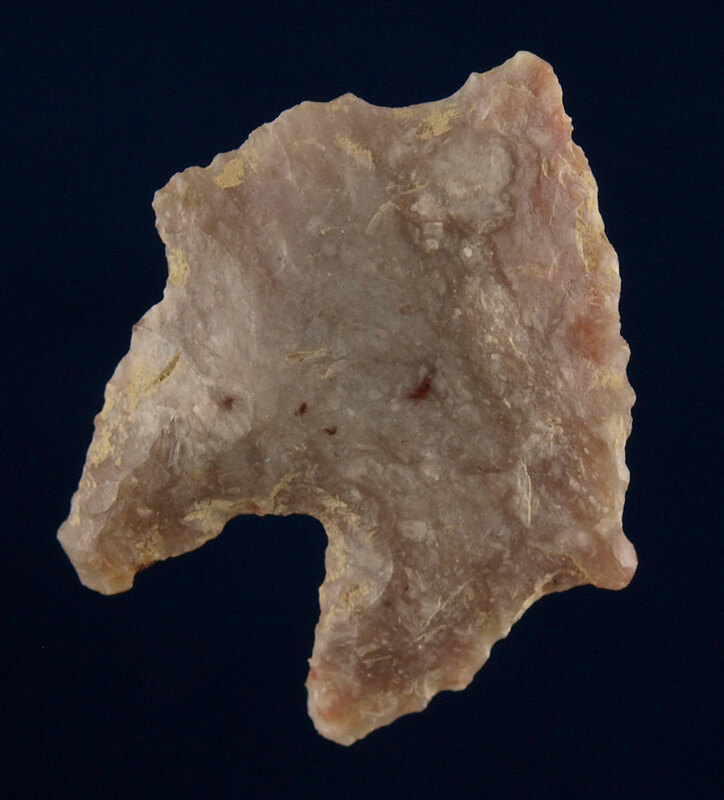 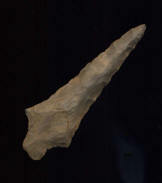 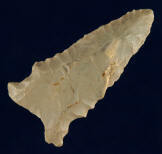 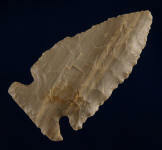 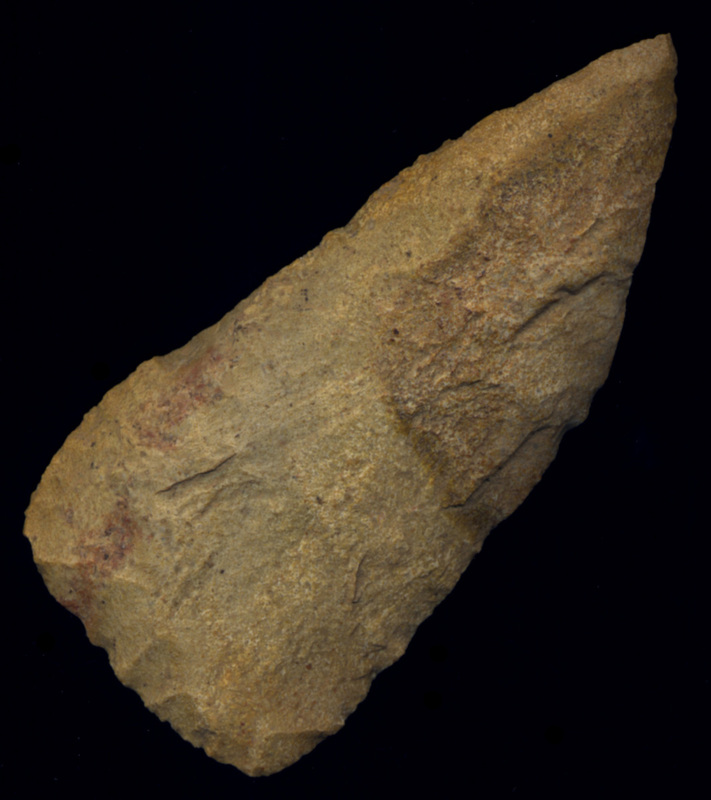 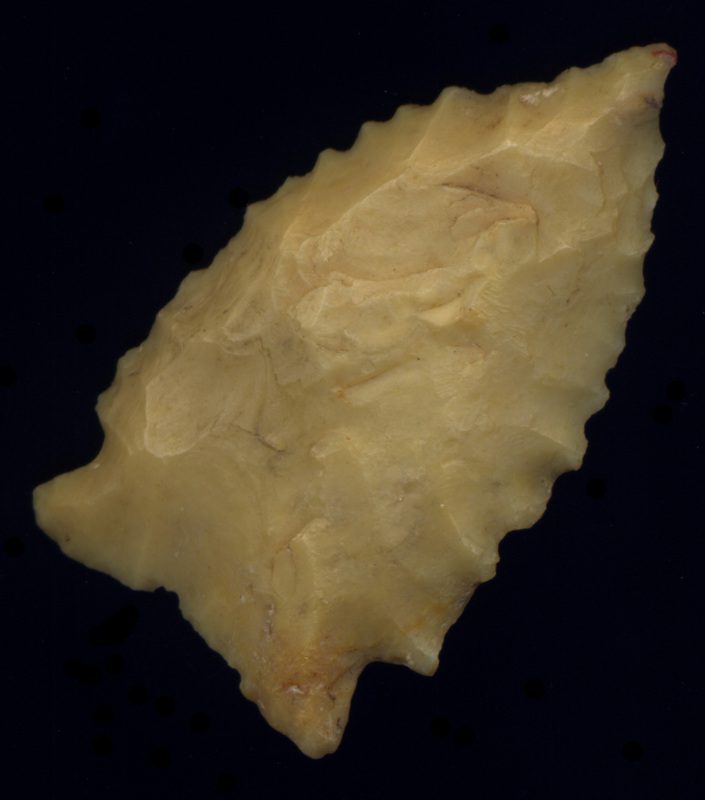 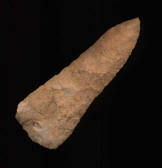 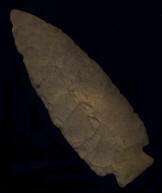 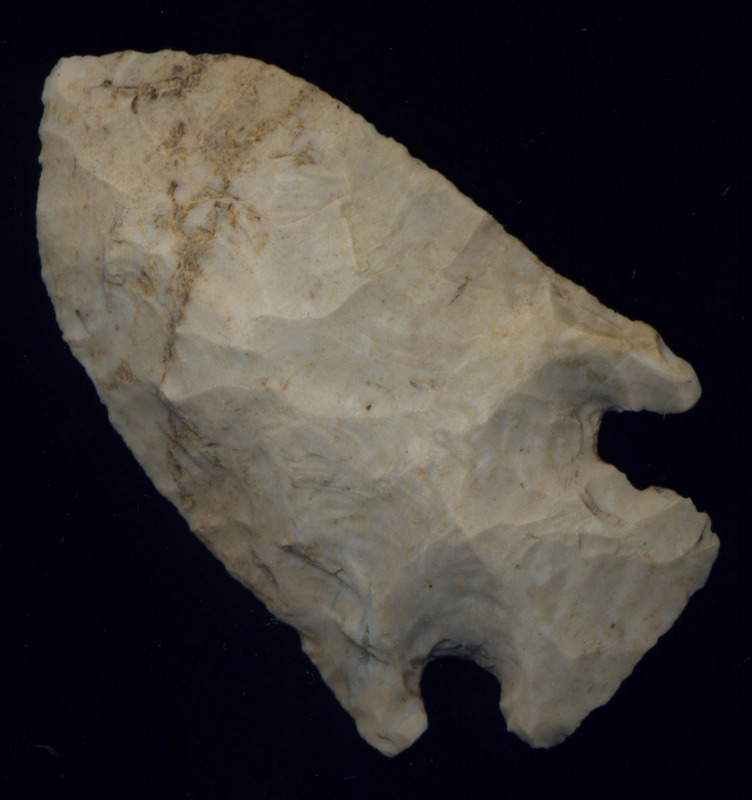 Description: Beautiful Fort Payne Chert Benton - This Beautiful Benton was found in Bath County by Lyndon Johnson of Salt Lick, KY. Description: Super Boyle Chert Copena Auriculate with Fossils - Super example of KY type. 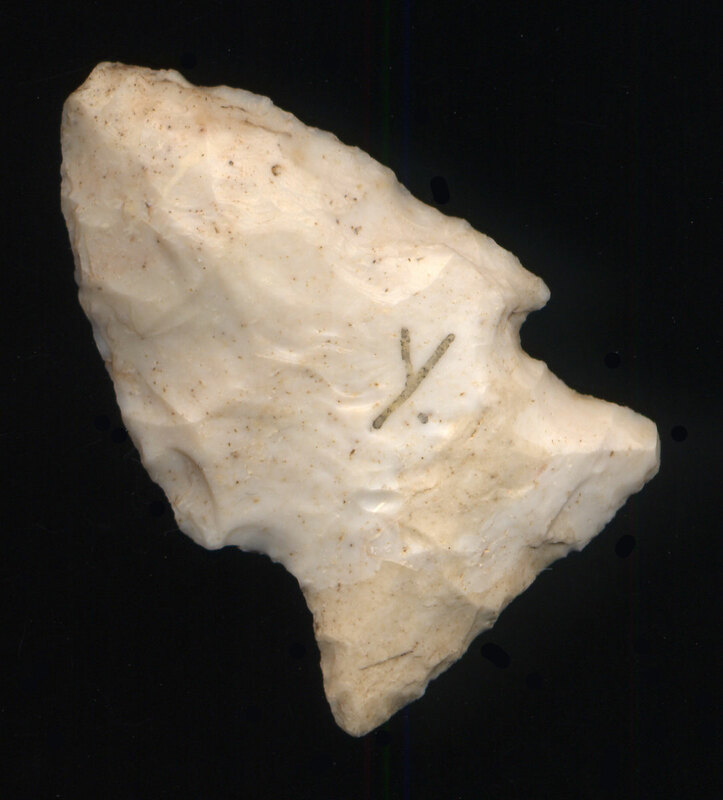 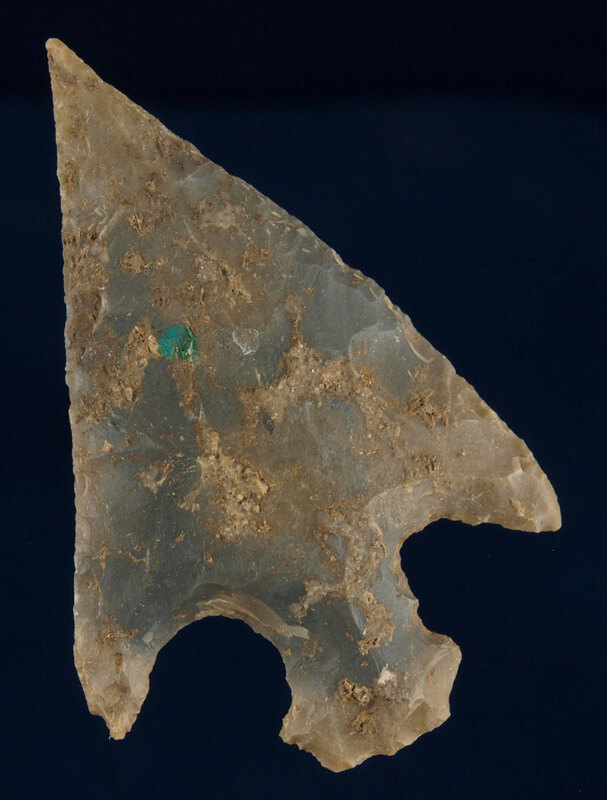 Description: - KY Fort Payne Chert Stilwell - Here is a nice large Fort Payne Chert Stilwell that was found in Fayette County, KY. 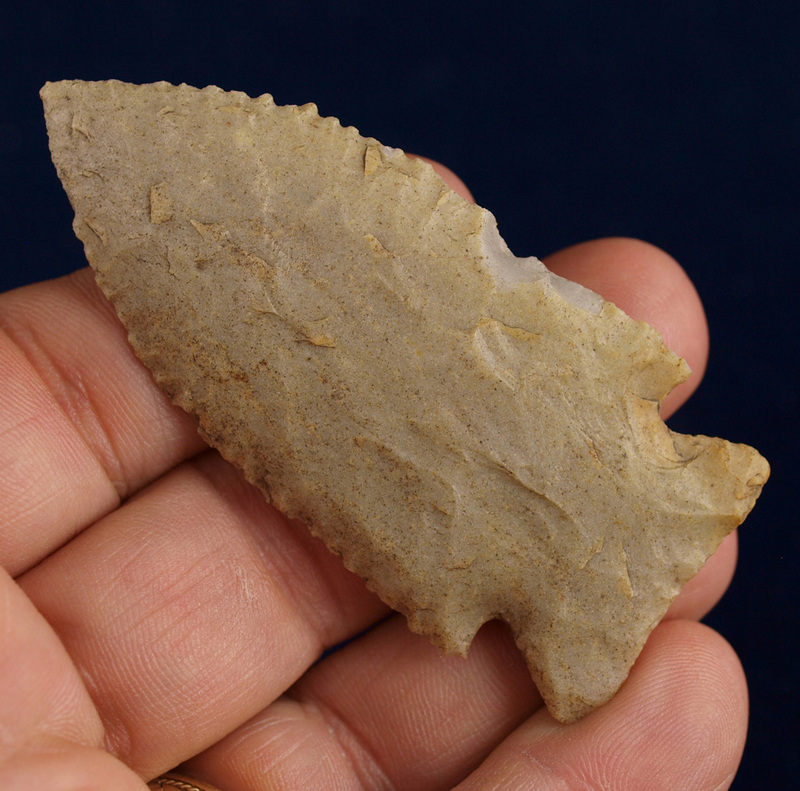 It has an ancient "spokeshave" built into one side of the blade. 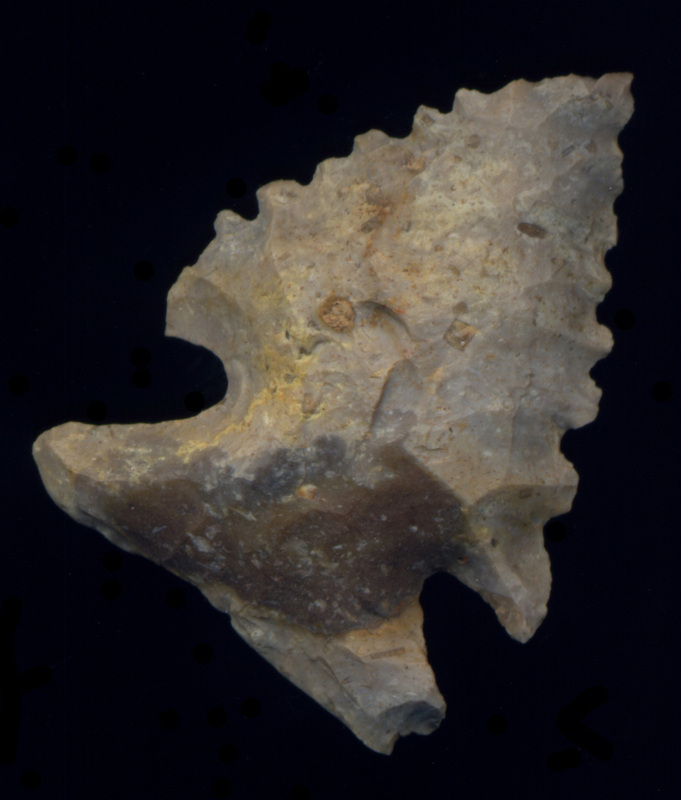 The Fort Payne material is very colorful with swirls near the base. (see photos).